This article is about the political arrangement. For the Christian theological teaching, see Hypostatic union. A personal union is the combination of two or more states that have the same monarch while their boundaries, laws, and interests remain distinct. A real union, by contrast, would involve the constituent states being to some extent interlinked, such as by sharing some limited governmental institutions. In a federation and a unitary state, a central (federal) government spanning all member states exists, with the degree of self-governance distinguishing the two. The ruler in a personal union does not need to be a hereditary monarch. The term was coined by German jurist Johann Stephan Pütter, introducing it into Elementa iuris publici germanici (Elements of German Public Law) of 1760. Personal unions can arise for several reasons, ranging from coincidence (a woman who is already married to a king becomes queen regnant, and their child inherits the crown of both countries; the King of one country inherits the crown of another country) to virtual annexation (where a personal union sometimes was seen as a means of preventing uprisings). They can also be codified (i.e., the constitutions of the states clearly express that they shall share the same person as head of state) or non-codified, in which case they can easily be broken (e.g., by the death of the monarch when the two states have different succession laws). Even though France is now a republic with a president and not a monarchy, it has nevertheless been in personal union with the neighboring nominal monarchy (non-hereditary) of Andorra since 1278. Personal union with Lands of the Bohemian Crown (1260–1276, 1306–1307, 1438–1439, 1453–1457, 1487–1490 and 1526–1918). Personal union with Lands of the Crown of Saint Stephen (1437–1439, 1444–1457, 1487–1490 and 1526–1918). Personal union with Austrian Netherlands (1714–1795). Personal union with Spanish Empire (1519–1521). Personal union with Kingdom of Slavonia (1699–1868), Kingdom of Serbia (1718–1739), Kingdom of Galicia and Lodomeria (1772–1918), Duchy of Bukovina (1774–1918), New Galicia (1795–1809), Kingdom of Dalmatia (1797–1805 and 1814–1918) and Bosnia and Herzegovina (1878/1908–1918). Personal union with the Principality of Ansbach from 1415–1440 and 1470–1486. Personal union with the Duchy of Prussia from 1618, when Albert Frederick, Duke of Prussia, died without male heirs and his son-in-law John Sigismund, Elector of Brandenburg, became ruler of both countries. Brandenburg and Prussia maintained separate governments and seats of power in Berlin and Königsberg respectively until 1701, when Frederick I consolidated them into one government. Personal union with Portugal, under Maria I of Portugal and later John VI of Portugal, from 16 December 1815 to 7 September 1822. Maria was the Queen of Portugal and the Algarves from 1777 to 1815, when Brazil, a Portuguese colony, was ranked Kingdom inside the United Kingdom of Portugal, Brazil and the Algarves. She was succeeded by her older son and Regent in her name since 1792, who become King John VI. He reigned over Brazil until the dissolution of the United Kingdom with the Independence of Brazil. Personal union with Portugal, under Pedro I of Brazil (Pedro IV of Portugal), from 10 March to 28 May 1826. Pedro was the Prince Royal of Portugal, Brazil and the Algarves when he declared the independence of Brazil in 1822, becoming its first emperor. When his father (John VI of Portugal) died, Pedro also became King of Portugal, but abdicated the Portuguese throne 79 days later in favour of his older child Princess Maria da Glória. Personal union with Belgium from 1885 to 1908, when the Congo Free State became a Belgian colony. The only sovereign during this period was Leopold II, who continued as king of Belgium until his death a year later in 1909. The precise terms of the union between the two realms became a matter of dispute in the 19th century. The nature of the relationship varied through time, Croatia retained a large degree of internal autonomy overall, while the real power rested in the hands of the local nobility. Modern Croatian and Hungarian historiographies mostly view the relations between the Kingdom of Croatia and Kingdom of Hungary from 1102 as a form of a personal union presided over by the King of Hungary, resembling the relationship of Scotland to England. It is argued that the medieval Hungary and Croatia were (in terms of public international law) allied by means of personal union until the Battle of Mohács in 1526. On January 1, 1527, the Croatian nobles at Cetin unanimously elected Ferdinand, Archduke of Austria, as their king, and confirmed in Cetingrad Charter the succession to him and his heirs. However, officially the Hungarian-Croatian state existed until the beginning of the 20th century and the Treaty of Trianon. Personal union with Norway (986–995, 1000–1014, 1028–1035, 1042–1047, 1380-1397, 1397–1523 (Kalmar Union) and 1524–1814 (Denmark–Norway)). Personal union with England (1013–1014, 1018–1035 and 1040–1042). Personal union with Sweden (1397–1523 (Kalmar Union)). Personal union with Duchy of Schleswig (1058–1866) and Duchy of Holstein (1474–1864). Personal union with Iceland (1918–1944). Personal union with Denmark (1013–1014, 1018–1035 and 1040–1042). Personal union with Duchy of Normandy (1066–1087, 1106-1144, 1154-1204/1259). Personal union with the County of Anjou (1154-1204). Personal union with much of France (Angevin Empire) (1154–1214). Personal union with Aquitaine (1154–1453). Personal union with the Kingdom of France (1422-1453). See also: Dual monarchy of England and France. Personal union with Lordship of Ireland (1171–1542) and Kingdom of Ireland (1542–1801). Personal union with Kingdom of Scotland (1603–1707). Personal union with Dutch Republic (1689–1702). After 1707, see Great Britain below. Personal union with the Kingdom of Naples under the rule of Louis XII (1501–1504) and Charles VIII (1495). Personal union with the Duchy of Milan under the rule of Louis XII (1499–1500 and 1500–1512) and Francis I (1515–1521 and 1524–1525). Personal union with the Polish–Lithuanian Commonwealth under the rule of Henry III (1573–1575). 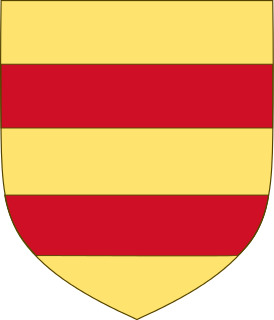 Personal union with the Kingdom of Navarre (1284–1328 and 1589–1620). Personal union with the Kingdom of Scotland under the rule of Francis II (1558–1560). Personal union under Napoleon with Italy and the Confederation of the Rhine. Note: The point at issue in the War of the Spanish Succession was the fear that the succession to the Spanish throne dictated by Spanish law, which would devolve on Louis, le Grand Dauphin — already heir to the throne of France — would create a personal union that would upset the European balance of power; France had the most powerful military in Europe at the time, and Spain the largest empire. Kingdom of Iberia and Colchis were connected power of the monarch in 300–90 years BC (Pharnavazid dynasty). Kingdom of Pontus and Colchis were connected power of the monarch in 109 BC–64 AD. 1000–1010 Kingdom of Abkhazia and Iberia ruled by Bagrat III. In 1010 it united (together with the annexed Kakheti kingdom) into a single Kingdom of Georgia. Kingdom of Kakheti and Hereti were connected power of the monarch in 1020s–1104. Kingdom of Kartli and Kingdom of Kakheti united under the rule of a single monarch in 1513–1520 (David X), 1625–1633 (Teimuraz I), 1648–1658 (Rostom), 1660–1664 (Vakhtang V), 1723 (Constantine II/III), to finally unite the Kingdom of Kartli-Kakheti in 1762 under the reign of Heraclius II and his descendants. Kingdom of Imereti and Principality of Guria united under the rule of a single monarch in 1681–1683 (George IV/III), 1701–1702, 1713–1714 (Mamia (III)) and 1720 (George VIII/IV). Before 1707, see England and Scotland. Personal union with Kingdom of Ireland (1707–1801). Personal union with Electorate of Hanover (1714–1801). After 1801, see United Kingdom below. Personal union with Great Britain and Ireland from 1714 to 1801. Personal union with the United Kingdom from 1801 to 1807 and again from 1814 to 1837, when differing succession laws resulted in Queen Victoria ascending the British throne and her uncle Ernest Augustus that of Hanover. The personal union was interrupted from 1807 to 1813 when Hanover was merged into the Kingdom of Westphalia during the Napoleonic Wars. A few months after the Battle of Leipzig, the Kingdom of Hanover was re-established. Personal union with the Kingdom of Sicily from 1194 to 1254 under the Hohenstaufen dynasty. Personal union with Hungary 1410–1439, 1556–1608, 1612–1740 and 1780–1806. Personal union with Croatia 1102–1918 (see § Croatia above for details). Personal union with Poland and Bohemia 1301–1305. Personal union with Poland from 1370 to 1382 under the reign of Louis the Great. This period in Polish history is sometimes known as the Andegawen Poland. Louis inherited the Polish throne from his maternal uncle Casimir III. After Louis' death the Polish nobles (the szlachta) decided to end the personal union, since they did not want to be governed from Hungary, and chose Louis' younger daughter Jadwiga as their new ruler, while Hungary was inherited by his elder daughter Mary. Personal union with Poland for the second time from 1440 to 1444. Personal union with Bohemia, 1419–1439 and 1490–1918. Personal union with the Holy Roman Empire, 1410–1439, 1556–1608, 1612–1740 and 1780–1806. Real union with Austria, 1867–1918 (the dual monarchy of Austria-Hungary) under the reigns of Franz Joseph and Charles IV. Personal union with Denmark from 1918 to 1944, when the country became a republic. Kingdom of Ireland in personal union with Kingdom of England 1542–1707, and Kingdom of Great Britain from 1707 to 1801. Formed integral part of United Kingdom of Great Britain and Ireland (see below) 1801–1922, when Irish Free State was formed from most of the island of Ireland. Irish Free State in personal union with United Kingdom (de jure) from 1922 to 1949, when the Free State officially became the Republic of Ireland. The King Chungseon reigned as King of Goryeo in 1298 and 1308–1313 and King of Shenyang or Shen from 1307 (according to the History of Yuan) or 1308 (according to Goryeosa) to 1316. At that time, Goryeo had already become a vassal of Yuan and the imperial family of Yuan and the royal family of Goryeo had close relationship by marriages of convenience. Because he was a very powerful man during Emperor Wuzong's era, he could become the King of Shenyang where many Korean people lived in China. However, he lost his power in the court of Yuan after the death of Emperor Wuzong. Because the Yuan Dynasty made Chungseon abdicate the crown of the Goryeo in 1313, the personal union was ended. King Chungsuk, Chungseon's eldest son, became the new King of Goryeo. In 1316, the Yuan Dynasty made Chungseon abdicate the crown of Shen in favour of Wang Go, one of his nephews, resulting in him becoming the new King of Shen. Personal union (the Polish-Lithuanian Union) with the Crown of the Kingdom of Poland 1386–1401, 1447–1492 and 1501–1569; then transformed into a federation, Polish–Lithuanian Commonwealth. Personal union with Bohemia, 1313–1378 and 1383–1388. Personal union with the Netherlands from 1815 to 1890, when King and Grand Duke William III died leaving only a daughter, Wilhelmina. Since Luxembourg held to Salic Law, Wilhelmina's distant cousin Adolphe succeeded to the Grand Duchy, ending the personal union. Personal union with France from 1285 to 1328 due to the marriage between Philip IV of France and Joan I of Navarre and the reign of their three sons, and from 1589 to 1620 due to the accession of Henry IV, after which Navarre was formally integrated into France. Personal union with England (1689–1702). Sweyn Forkbeard ruled both Norway and Denmark from 999 to 1014. He also ruled England from 1013 to 1014. Cnut the Great ruled both England and Denmark from 1018 to 1035. He also ruled Norway from 1028 to 1035. Personal union with Denmark 1042–1047 Magnus I of Norway who died of unclear circumstances. Personal union with Sweden from 1319 to 1343. Personal union with Sweden from 1449 to 1450. Personal union with Denmark from 1380 to 1389/97. Personal union with Denmark 1523 to 1814. Personal union with Sweden from 1814 (when Norway declared independence from Denmark and was forced into a union with Sweden) to 1905. Personal union with the Kingdom of Bohemia from 1300 to 1306. Personal union with the Kingdom of Hungary, 1301–1305, 1370–1382 and 1440–1444 (see Hungary section above). Personal union with the Grand Duchy of Lithuania from 1386 to 1401, 1447 to 1492, and 1501 to 1569. Personal union with the Duchy of Ruthenia (Ukraine) in 1658. Personal union with the Electorate of Saxony, 1697–1706, 1709–1733 and 1734–1763. Personal union with the Russian Empire from 1815 to 1831. Iberian Union with Spain from 1580 to 1640, under Philip II (also known as Philip I of Portugal), his son and grandson. Personal union with Brazil, under Peter I of Brazil (Peter IV of Portugal), from 10 March 1826 to 28 May 1826. Peter was the Prince Royal of Portugal, Brazil and the Algarves when he declared the independence of Brazil in 1822, becoming its first emperor. When his father (John VI of Portugal) died, Peter became also king of Portugal for only a few weeks, after which he abdicated the Portuguese throne in favor of his older daughter, Princess Maria da Glória. Brandenburg-Prussia: personal union between the Margraviate of Brandenburg and Duchy of Prussia (1618–1701). Personal union between Kingdom of Prussia and Duchy of Courland and Semigallia (later United Baltic Duchy) (1918). Personal union between Kingdom of Prussia and Principalty of Neuchâtel, 1707-1806 and 1814-1848. The King of Prussia exchanged territories with France during the 1806-1814 interim. 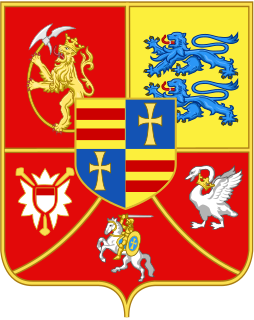 The duchies of Saxe-Weimar and Saxe-Eisenach were in personal union from 1741, when the ruling house of Saxe-Eisenach died out, until 1809, when they were merged into the single duchy of Saxe-Weimar-Eisenach. Duchies with peculiar rules for succession. See the Schleswig-Holstein Question. The kings of Denmark at the same time being dukes of Schleswig and Holstein 1460–1864. (Holstein being part of the Holy Roman Empire, while Schleswig was a part of Denmark). The situation was complicated by the fact that for some time, the Duchies were divided among collateral branches of the House of Oldenburg (the ruling House in Denmark and Schleswig-Holstein). Besides the "main" Duchy of Schleswig-Holstein-Glückstadt, ruled by the Kings of Denmark, there were states encompassing territory in both Duchies. Notably the Dukes of Schleswig-Holstein-Gottorp and the subordinate Dukes of Schleswig-Holstein-Beck, Schleswig-Holstein-Sonderburg-Augustenburg and Schleswig-Holstein-Sonderburg-Glücksburg. The duchies of Schwarzburg-Rudolstadt and Schwarzburg-Sondershausen were in personal union from 1909, when Prince Günther of Schwarzburg-Rudolstadt succeeded also to the throne of Schwarzburg-Sondershausen, until 1918, when he (and all the other German monarchs) abdicated. Personal union with the English Earldom of Northumbria and Earldom of Huntingdon at various times during the 1100s and 1200s as result of the Norman Conquest of England and the resulting fluctuating relationship – at times fairly warm and contractual, at times hostile – between the increasingly Normanised Kings of Scotland and their Anglo-Norman counterparts on the throne of England. The ambiguity of this relationship was only finally ended with the eventual Scottish victory in the Scottish Wars of Independence and hence a more formal division of the Scottish and English realms. From the accession of James VI of Scotland to the English and Irish thrones as James I onward, personal union with the Kingdom of England and the Kingdom of Ireland (1603–1707). After the accession of William of Orange as William II of Scotland, personal union with the Dutch Republic (1689–1702). After 1707, see Great Britain above. Personal union with the Holy Roman Empire from 1194 to 1254 under the rule of the House of Hohenstaufen. Personal union with the Crown of Aragon from 1282 to 1285 and 1409 to 1516 under the rule of the House of Barcelona and the House of Trastámara. Personal union with the Kingdom of Spain from 1516 to 1713 under the rule of the House of Habsburg and the House of Bourbon. Personal union with the Duchy of Savoy from 1713 to 1720 under the rule of Victor Amadeus II of Savoy. Personal union with the Holy Roman Empire from 1720 to 1734 under the rule of Charles VI of Habsburg. Personal union with the Kingdom of Naples from 1735 to 1806 under the rule of the House of Bourbon. Kingdom of León, Kingdom of Galicia and Kingdom of Asturias (914–924). Kingdom of León and Crown of Castile (1037–1065 and 1072–1230). Crown of Aragon and Kingdom of Navarre (1076–1134). Crown of Aragon and Kingdom of Sicily (1412–1516). Crown of Aragon and Kingdom of Naples (1442–1458 and 1504–1516). Personal union with Archduchy of Austria and Austrian dynastic lands (1519–1521). Personal union with Holy Roman Empire (1519–1556) under Charles I. Personal union with Kingdom of Naples (1516–1714), Kingdom of Sardinia (1516–1708), Kingdom of Sicily (1516–1713) and Duchy of Milan (1540–1706). Personal union with Habsburg Netherlands (1516–1581) and Spanish Netherlands (1581–1714). Personal union with Kingdom of England (1556–1558). Personal union (Iberian Union) with Kingdom of Portugal (1580–1640). Personal union with the Crown of the Kingdom of Poland from 1592 to 1599. Swedish kings united his kingdom with Estonia (1581–1721), Livonia (1629–1721), Karelia (1617–1721), Scania (1645–1721), Bremen-Verden (1648–1719), Pomerania (1630–1815), Wismar (1648–1803) and Ingria (1583–1595 and 1617–1721). Personal union with Electorate of Hanover (1801 - 1806). Personal union with the Kingdom of Hanover (1814–1837). Personal union with the Irish Free State (1922-1937) and Ireland (de jure) from 1937 to 1949; and the former Commonwealth realms and Dominions of South Africa (1931-1961), India (1947-1950); Pakistan (1947-1956), Ceylon (1948-1972), Ghana (1957-1960), Nigeria (1960-1963), Sierra Leone (1961-1971), Tanganyika (1961-1962), Trinidad and Tobago (1962-1976), Uganda (1962-1963), Kenya (1963-1964), Malawi (1964-1966), Malta (1964-1974), The Gambia (1965-1970), Guyana (1966-1970), Mauritius (1968-1992), and Fiji (1970-1987). Personal union with the current Commonwealth realms: Canada since 1931, Australia since 1942, New Zealand since 1947, Jamaica since 1962, Barbados since 1966, The Bahamas since 1973, Grenada since 1974, Papua New Guinea since 1975, Solomon Islands since 1978, Tuvalu since 1978, Saint Lucia since 1979, Saint Vincent and the Grenadines since 1979, Antigua and Barbuda since 1981, Belize since 1981, and Saint Kitts and Nevis since 1983. ^ Oppenheim, Lassa; Roxbrough, Ronald (2005). International Law: A Treatise. The Lawbook Exchange. ISBN 978-1-58477-609-3. Retrieved 13 June 2013. ^ In the Holy Roman Empire, many prince-bishops had themselves elected to separate prince-bishoprics, which they ruled in a personal union. For example, Joseph Clemens von Bayern (1671–1723) was Prince-Bishop of Freising (1685–1694), Prince-Bishop of Regensburg (1685–1694), Prince-Elector of Cologne (1688–1723), Prince-Bishop of Liège (1694–1723) and Prince-Bishop of Hildesheim (1702–1723). ^ Harding, Nick (2007). Hanover and the British Empire, 1700-1837. Boydell & Brewer. ISBN 9781843833000. ^ "Histoire de la Croatie". Larousse online encyclopedia (in French). ^ a b Luscombe and Riley-Smith, David and Jonathan (2004). New Cambridge Medieval History: C.1024-c.1198, Volume 4. Cambridge University Press. pp. 273–274. ISBN 978-0-521-41411-1. ^ Sedlar, Jean W. (2011). East Central Europe in the Middle Ages. University of Washington Press. p. 280. ISBN 978-0295800646. Retrieved 16 January 2014. ^ Singleton, Frederick Bernard (1985). A Short History of the Yugoslav Peoples. Cambridge University Press. p. 29. ISBN 978-0-521-27485-2. Holstein is the region between the rivers Elbe and Eider. It is the southern half of Schleswig-Holstein, the northernmost state of Germany.